I love candles. Love them. (Especially if they smell yummy.) So when the Goose Creek Candle Company asked me to review their candles, I was definitely up for it. 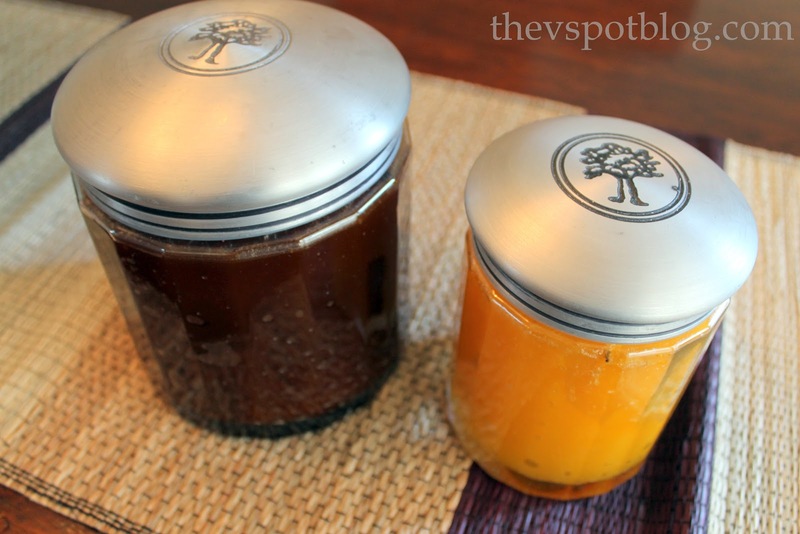 The sent me two of their American Heirloom jar candles to try. I love candles that smell like food. If a candle can make it smell like I’ve been baking something delicious, it’s a really good thing. 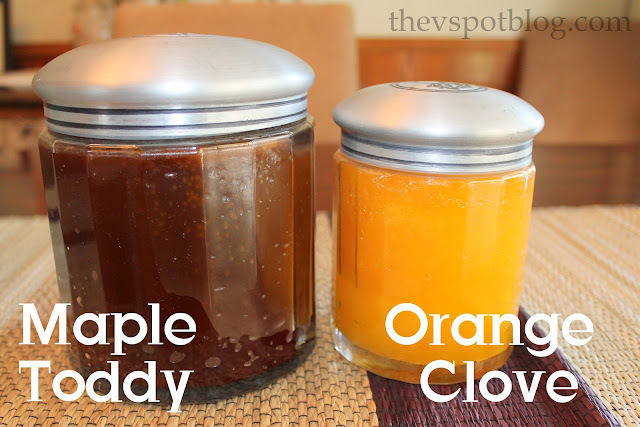 These jars are a really cool shape and have pretty lids too. In addition to providing ambient light and a fabulous fragrance to your home, candles are supposed to be part of your decor… right? These will fit in anywhere, and the jars can totally be reused once the candle has burned away. I did not hear any of those complaints with these candles. In fact I burned the Maple Toddy candle for about 6 hours before he mentioned that it was getting “sooty”. That was my bad. I burned it longer than I should have and the wicks got really long. I trimmed them and then it was fine. Also? It burned evenly. I hate it when you have a candle that burns down the middle, leaving you with just a bunch of wax. (Even though I know how to use the wax to make another candle, it still bugs me.) The Goose Creek candle burned at an even rate. Goose Creek is giving two of my readers a 16 oz, 2-wick candle from their American Heirloom collection. How cool is that? Just go check out their site and tell me which scent you’d choose if you won. You can also start your Christmas shopping a bit early (or shop for you), because they are also giving my readers 25% off of their entire purchase. Just use code 082612 at check out before September 30, 2012! OOoooOOoohh! Pumpkin Spice Latte sounds perfect for fall. Lovely selection, but you had me at Orange CLove! My DH says the same thing about candles….too sweet, too strong! I’d love to try one of these—thanks for the chance to win! I love candles! Orange Clove sounds wonderful! Ooh, orange clove sounds yummy! Pumpkin Spice Latte sounds Heavenly! Thanks for the chance! Oh Man.. just one?! Pumpkin or the carmel apple one! ohmygosh! Spun sugar or vanilla cashmere sound divine! Spun sugar, orange clove… yes please! Tough choice! They all sound so yummy. I’m thinking maybe the Apple Bourbon. The apple festival scent sounds yu,mmy! Wow – their scents all sound so great!! I think I’d probably go with Spice Cake or maybe Apples & Spice. Halloween witches spice all the way! I could not make a comment about white linen candle choice. Please accept this as an entry since raffle copter would not cooperate for me. Iced Dew Drops sounds like an interesting scent. Thanks for offering the generous giveaway. Spice cake would be nice. Orange Clove sounds perfect for Fall! Thanks! 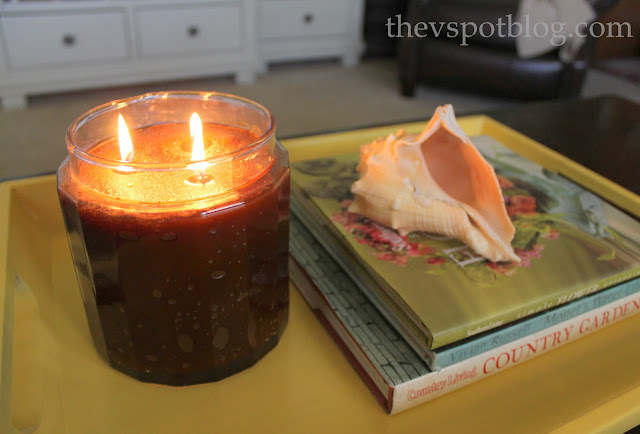 I love the White Linen and Toasted Cinnamon Jar Candles! Thank you for having this wonderfully scented giveaway! I love anything and everything autumn, so I think I would choose their Autumn Scented candle. Orange Clove smells like Autumn to me! Thanks for the great giveaway! I really need to order some of these candles, which to pick from, Whipped Pumpkin Latte or Dark Vanilla Bean! I love the new Heirloom jar…so pretty. The vanilla cashmere sounds perfect! Whipped Pumpkin Latte sounds like it smells wonderful! I really want to try the Whipped Pumpkin Latte!! I would definately pick Folk Art Holiday Spice Cake….yum!!!! The Dark Vanilla Bean sounds wonderful! Pumpkin Spice Latte for sure!! I would probably go for the Vanilla Bean, the Maple Toddy, or the Pumpkin Latte. So many delicious scents, hard to decided!